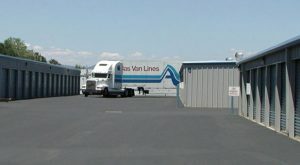 AAA Mini & RV Storage is your destination for professional, affordable, and convenient self storage. We’re located on the east side of Redding, California – just off CA-44, CA-299, and I-5. While we pride ourselves on delivering the best experience in Redding, we are also a popular choice for residents of the Bella Vista, Shasta Lake, and Palo Cedro communities. Check us out on Tarmac Road; we’re down the street from In-N-Out Burger.